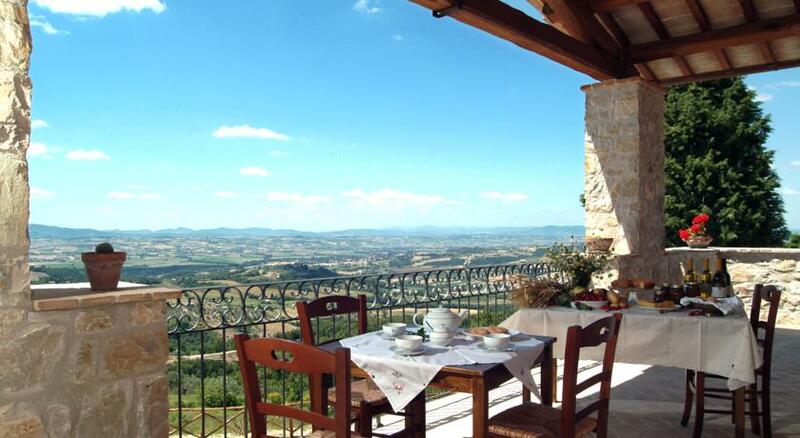 Near Perugia and just outside the town of Collazzone, Umbria, Italy, San Giovanni al Monte farm stay has stunning views from its rustic, classic old Italian farm house surrounded by olive trees and woodland. They have a mixture of self catering and B&B accommodation in rustic, stylish rooms and apartments, all with private bathroom and TV, while the apartments also have a full kitchen, lounge with fireplace and a patio, and there are barbecue facilities for guests to use in the gardens. They serve a really good Italian breakfast including some home-made marmalade and cakes. They make olive oil on the farm too and the owners are always happy to explain the processes to guests and can organize tasting sessions.